When it comes to dieting, far too many people set themselves up for failure before they even begin the process. They literally dread going on their diets and before the process have even begun they’re planning their mishaps along the way. Sad to say but true, far too many ‘would be dieters’ are planning their first ‘and before I knew it ate the whole block’ mishap while eating their last block before the big event. 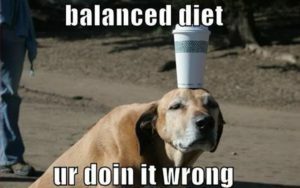 I have no idea why we tend to do this to ourselves but it is something we all hear in dieting conversations everywhere. The far too popular notion is that one must binge on the foods most loved and enjoyed before beginning the dieting process because these things ‘must’ be completely eliminated in order to shed those unwanted kilos. However, if you are honest with yourself, nothing could be further from the truth. Moderation is key but a concept many of us loathe to embrace. You must change your way of thinking about food and your personal enjoyment of food in order for any diet you embrace to be successful. Food simply isn’t the enemy and that is something that not enough people really understand. Even the ‘tasty’ foods aren’t the enemy. The enemy is your personal inability to properly portion the foods you eat. The problem is that the vast majority of us eat the wrong foods far more often than we eat the right foods. When we diet we focus on what we have to restrict rather than what we can INCLUDE. This is where the problems lie. Our bodies need the nutrients we are lacking by not eating the five servings of vegetables and three servings of fruit each day that we should consume, minimum. Our bodies know that something is missing and we feel hungry or deprived. If we were actually consuming the proper balance of fruits and veggies each day we would find that we were far less likely to feel hungry and desire those foods that aren’t as healthy. This means we would be much more likely to enjoy them in moderation as they should be enjoyed. Portion control is another problem that we have as we live in a society of “up selling”. Super-sized this, MEGA-size that and empty calories by the litre of your favourite soft-drinks are offered with almost every fast food meal that can be bought. If opting for a take away meal we must learn to say no to these things and avoid situations in which you may feel tempted to partake in these up sized orders. To be truly successful when dieting you need to embrace the process of building a happier, healthier you rather than depriving and restricting yourself of something. Do not think of your weight loss plan as something negative but rather a positive force in your life to make changes for the better. When you have those negative thoughts, and they will naturally occur, do not direct them at your diet. When you feel deprived in a dietary notion please remind yourself that by feeding yourself with quality nutritional choices you are depriving your bones of carrying around that excess weight. Remind yourself that you are depriving your wardrobe of those bulky clothes that are designed to hide the bulges. Remind yourself that you are depriving your body of years of bulges and bringing back the body of your youth. As we enter the festive season do not get so caught up in the dieting process that you forget to enjoy some of the goodies that life has to offer at this time of year. Watching your weight and counting your calories does not mean that you can never go over your ‘allowance’. The goal however is to find balance and play it smart. If you learn to portion your food correctly, indulge in moderation, and incorporate enjoyable calorie burning activities into your daily routine you may be amazed at the results.